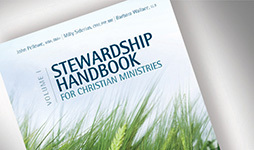 This nine-part webinar series provides a biblical perspective on stewardship and fundraising and a comprehensive foundation in Canadian charity law. Whether you are a small church considering a building fund campaign or a large ministry seeking to expand your development program, you will find practical guidance in this e-course. 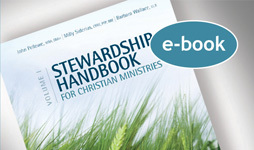 When you purchase this series, you will also receive a hard copy or e-copy of the Stewardship Handbook for Christian Ministries, Volume 1 (a $75 value!). The recorded webinar series includes all of the titles below, but you may purchase each webinar separately. "Excellent series. 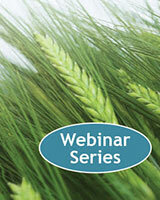 Few webinars are so specific to the Canadian which make this one so helpful. " "Thank you so much. 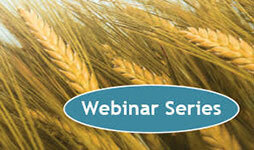 This was my first webinar and it was an enjoyable and informative experience. " "Thank you for the thought and energy that went into this webinar. I found the thoughts on remaining donor-centric to be very helpful. "